Let the construction begin with these durable, plastic trucks. Your little one will be entertained for hours and learn basic work vehicle functions too. Take these sturdy little trucks to the beach, in the car or just use them at home; they are convenient for any type of play. 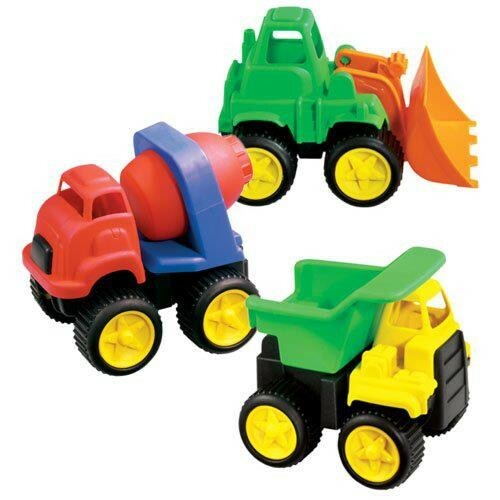 Set includes dump truck, cement mixer and bulldozer, each of which measures 4 1/2"H x 5 3/4"W x 3 3/4"D.